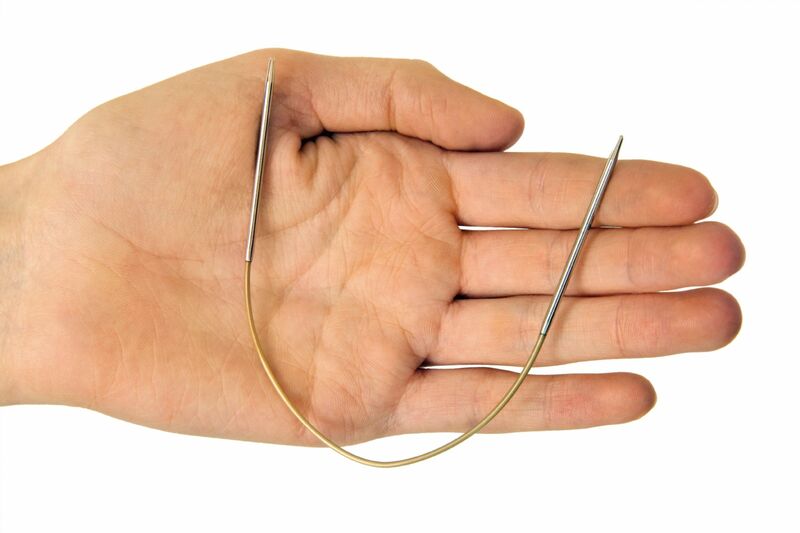 The shortest lengths of circular knitting needles: 20cm, 25cm and 30cm, made specifically with small projects in mind - for sock knitting, jewellery, toys and baby knits. Premium metal needles with smooth white bronze tips and gold cords. The length of the needle is measures from tip to tip!